Savory Spice’s two Chicago area stores are offering locally themed seasoning blends, a spice-of-the-month club, a robust list of boxed spice assortments and other gift options, plus a Black Friday weekend promotion. All year long, but especially during the holidays, we have something for literally everyone who loves to cook or eat, or who’s buying a gift for someone who does. Savory Spice’s two Chicago area locations (Lincoln Square and downtown Naperville) are spicing up the holidays with a line of locally themed seasoning blends, a spice-of-the-month club, a robust list of boxed assortments and other gift options, plus a Black Friday weekend promotion. “All year long, but especially during the holidays, we have something for literally everyone who loves to cook or eat, or who’s buying a gift for someone who does,” says David Trout, co-owner of the Savory Spice Lincoln Square store, 4753 N. Lincoln Ave., Chicago. The local seasoning blends—unique to each Savory Spice location—have names and flavors reflecting their Chicagoland roots. Lincoln Avenue Pizza Seasoning and Broad Shoulders Burger Blend are sold at the Lincoln Square location while the ‘Ville Everything Bagel Blend and Wehrli Bird Seasoning (a nod to Naperville’s prominent Wehrli family) can be found at the downtown Naperville shop, 123 S. Washington St. Both stores are selling Cook County Charcoal Seasoning and Bucktown Brown Mustard & Honey Rub. The local blends are sold in-store only, priced $4-$8 each, or in gift-boxed 4- and 8-jar sets that include additional complimentary spices. Savory Spice offers dozens of other gift box sets, starting at $10, designed around specific themes and uses such as baking, grilling, seafood, dips, snacking and a variety of global cuisines. Customers can also create their own sets for gift-giving. “Custom assortments make great corporate gifts. We can add a company logo and holiday message, and we offer discounts for larger orders,” Trout said. Gift-givers can spread the love throughout the year via Savory Spice’s 6- or 12-month Spice Club subscription, priced at $75 for 6 months and $125 for 12 months. Each monthly installment includes a recipe and seasonings to prepare a dinner for 4. As a Thanksgiving weekend shopping incentive, customers who spend $100 at either location Nov. 24 (Black Friday) through Nov. 26 will receive ten $10 “Spice Bucks” (for a total of $100 in future purchases) to be redeemed individually in 2018. Half-price Italian Black Truffle Sea Salt the morning of Black Friday will be an additional incentive. Shoppers seeking inspiration can visit either store through the end of the year for demonstrations and workshops on holiday cooking, entertaining and making homemade gifts. For more information, call 773-293-4559 (Lincoln Square) or 630-548-0058 (Naperville). 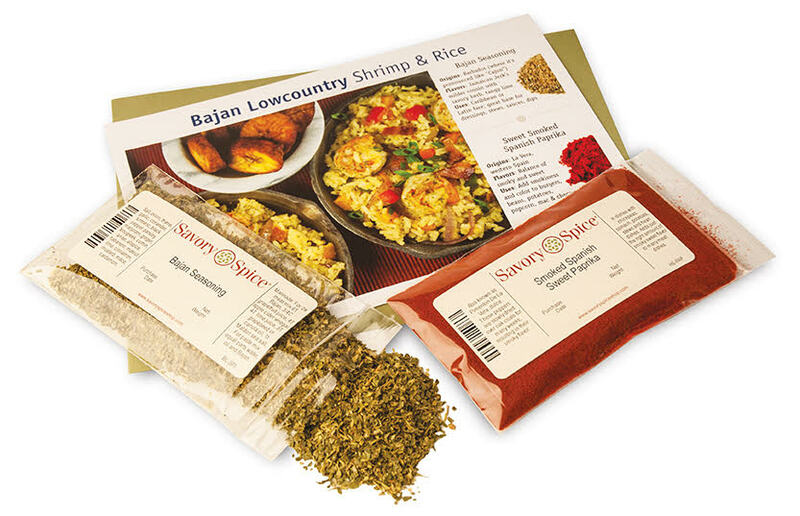 Founded in 2004 in Denver by Mike and Janet Johnston, Savory Spice is a collection of 30 locally owned and/or operated community spice shops in 16 states – all offering a high-quality selection of more than 400 freshly ground herbs and spices and 160 handcrafted seasonings. Known as a “cook’s paradise,” it has developed a loyal following by catering to experienced and aspiring cooks alike. For more information visit savoryspiceshop.com. 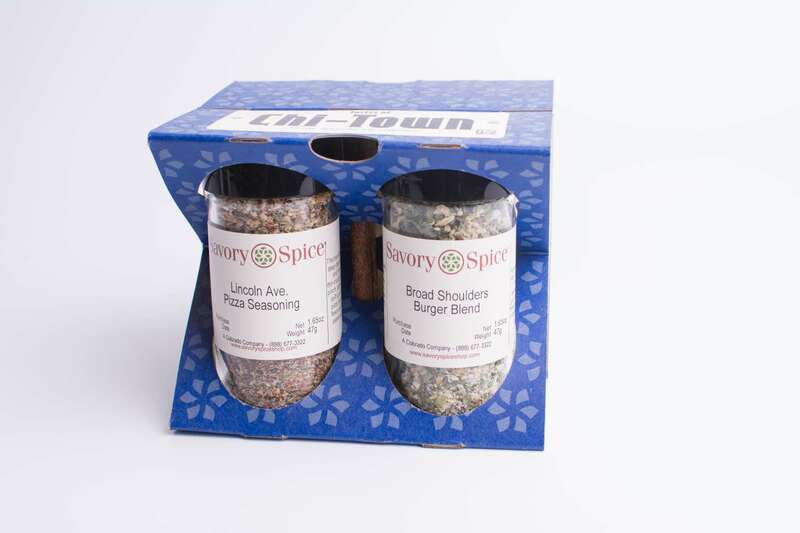 The Savory Spice Chi-Town gift set is one of several locally themed items featuring seasoning blends with names and flavors reflecting their Chicagoland roots. Each monthly Spice Club installment includes a recipe and seasonings to prepare a dinner for 4. 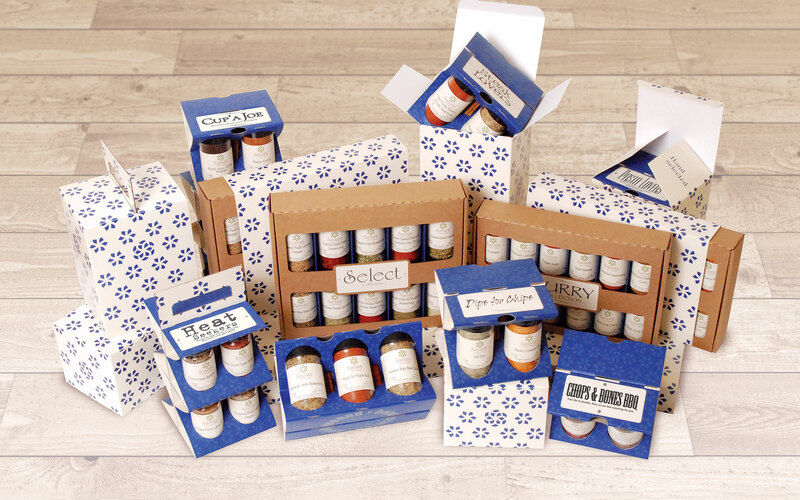 Savory Spice offers dozens of gift box sets, starting at $10, designed around specific themes and uses.